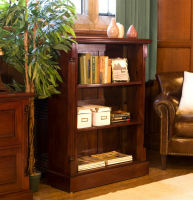 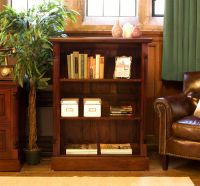 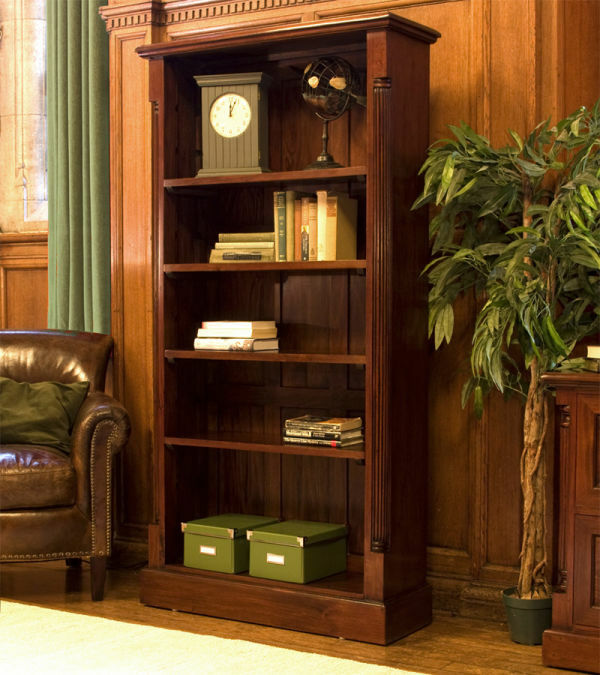 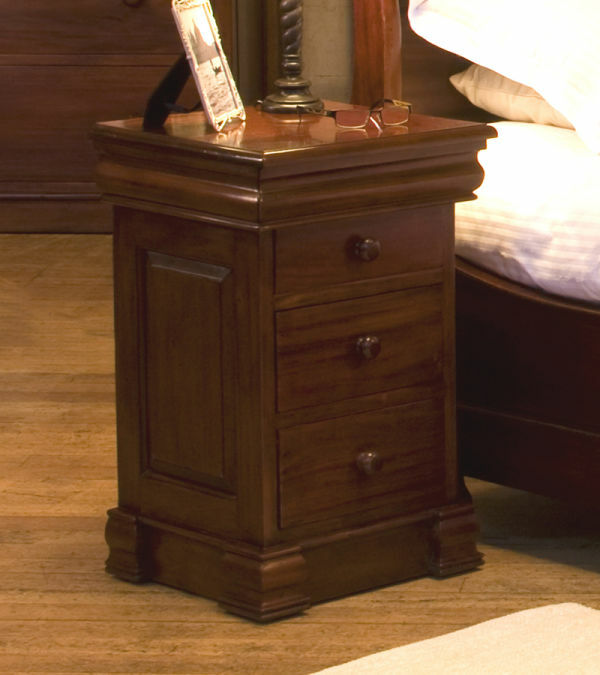 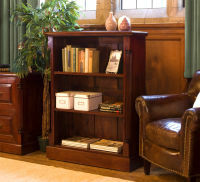 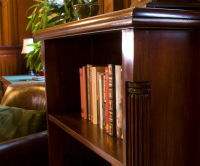 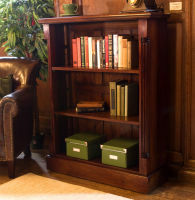 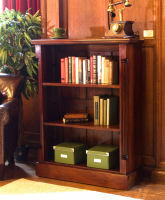 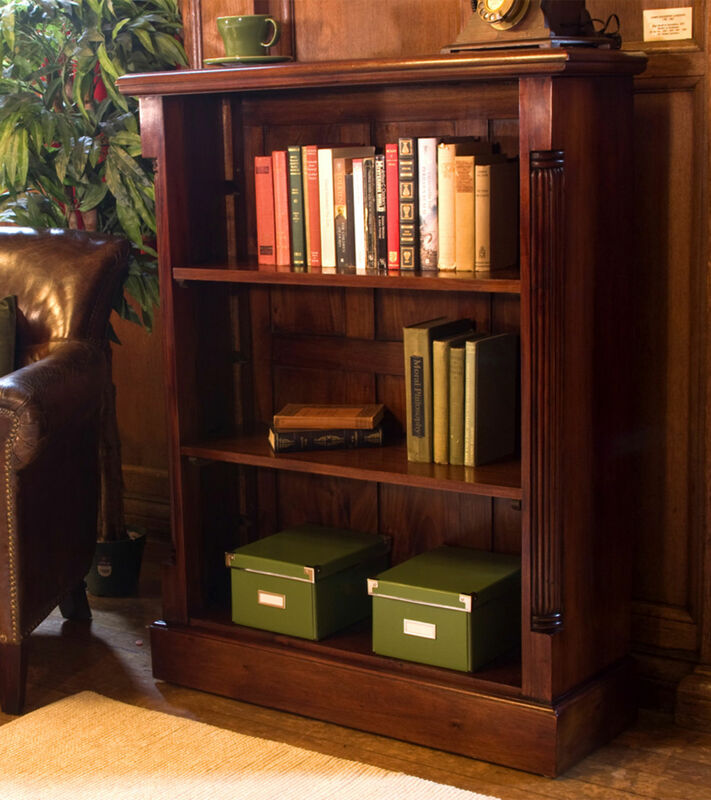 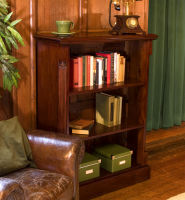 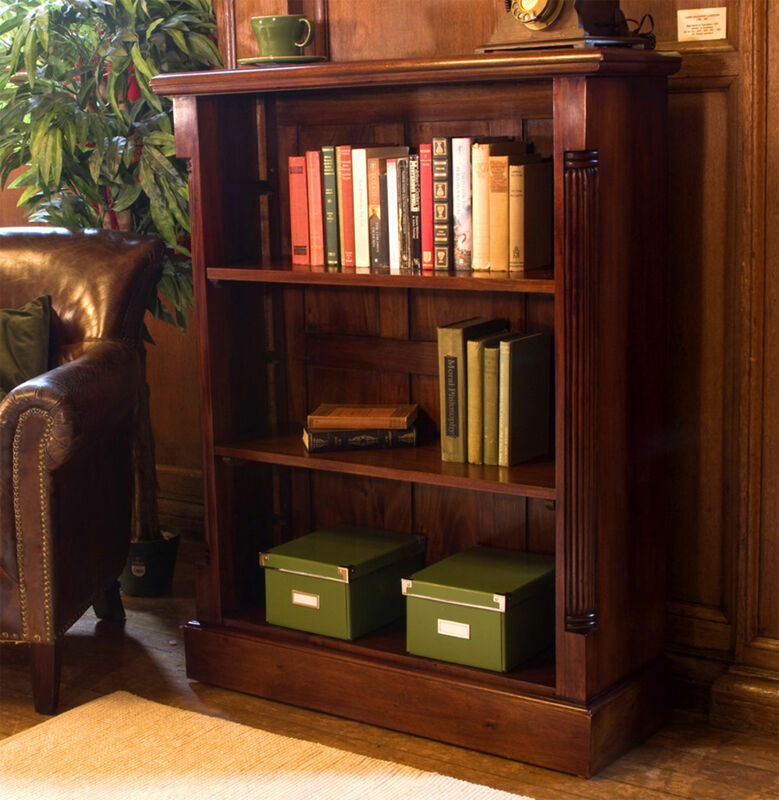 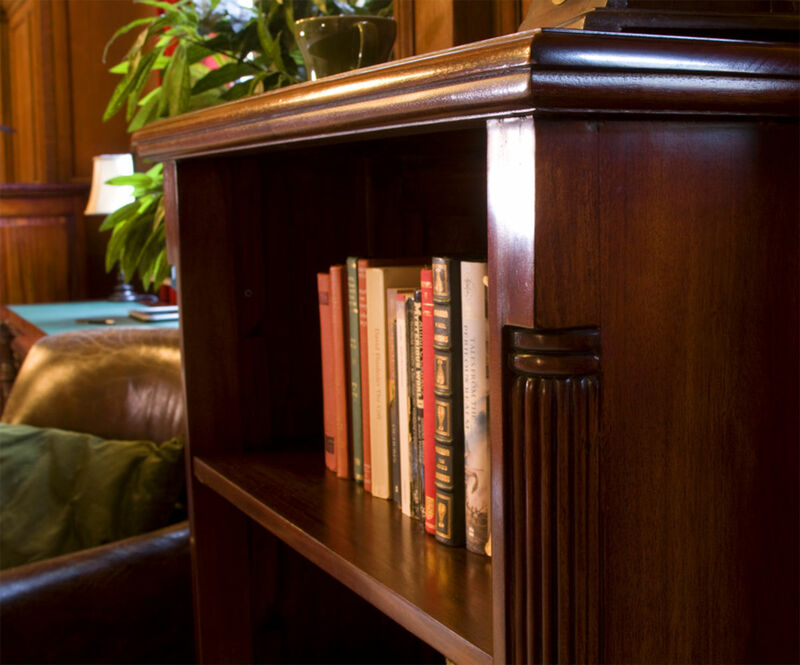 This neat and compact Low Open Mahogany Bookcase is a great way to add storage and style to your reading collection. 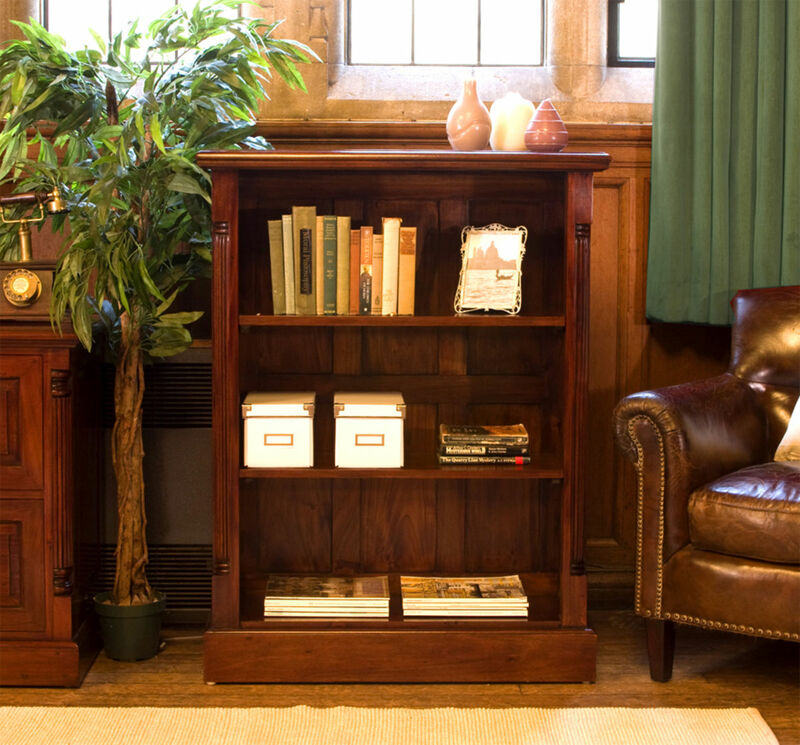 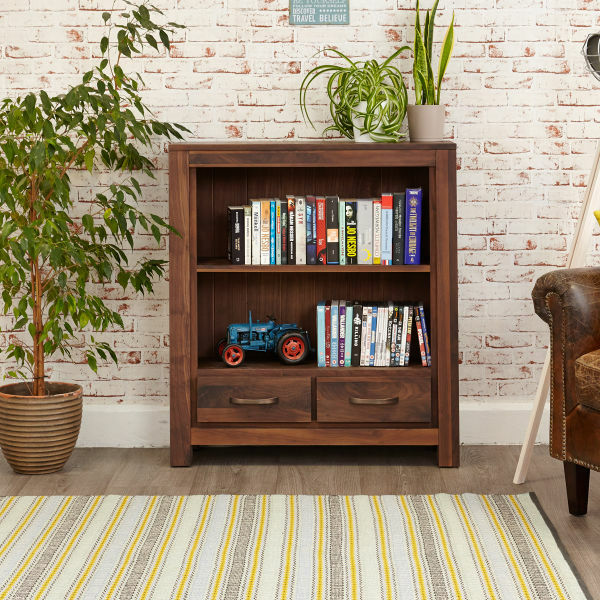 Encorporating classic design features with efficient storage, this compact bookcase is finished with a mid gloss laquer, providing durability whilst enhancing the natural beauty of the mahogany - ideal for any living room, study or home office. 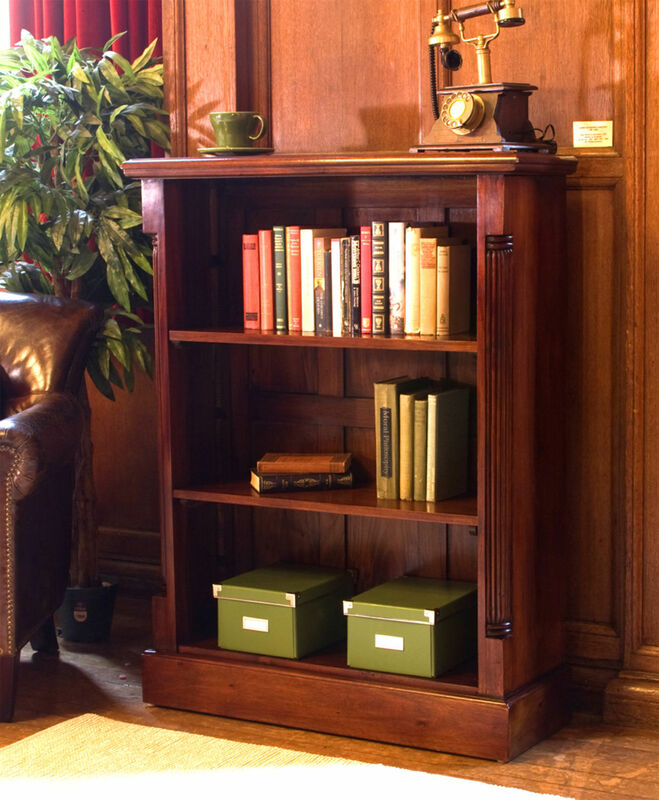 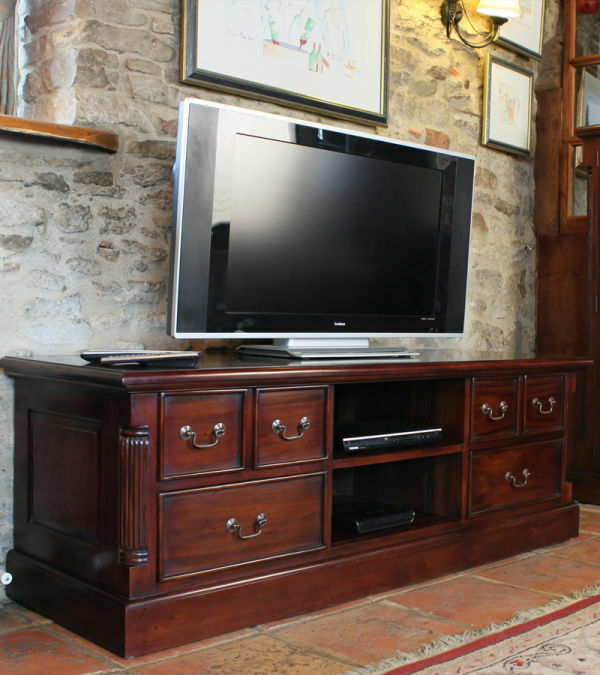 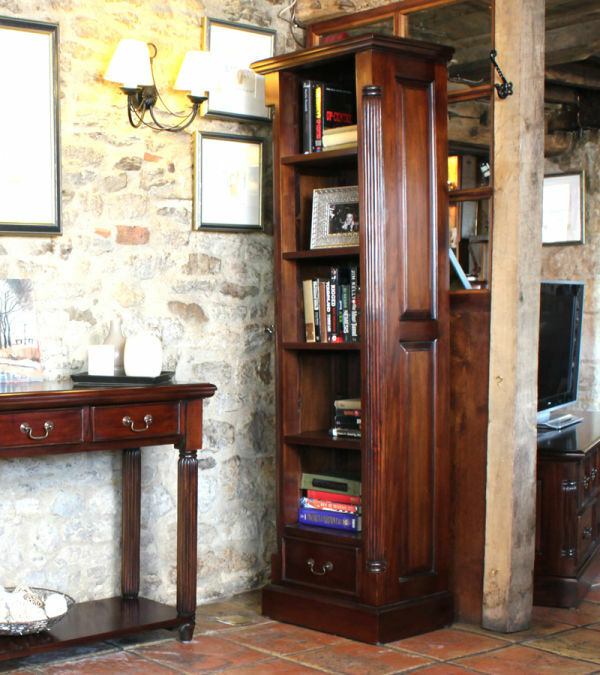 This low mahogany bookcase is hand crafted to the highest standards, features two removable and adjustable shelves and features beautifully crafted, hand carved fluted sides and decorative back panelling to give exquisite detail throughout. Supplied with nylon feet to protect wooden flooring or carpet from any scratches or damage, all items in the range are crafted from FSC certified mahogany. If you are considering equiping your home office, why not consider the complementary mahogany hidden home office from the same range.